Making the most of marketing to generate news and interest. If you’ve worked in agriculture for even a day, you know that bringing a new product to market involves years of research and development, field trials to validate product performance and safety, and customer research to understand market needs and ensure market acceptance. Bringing a new product to the farm market also requires defining or reshaping your buyer personas – farmer, dealer or distributor – to fully understand their attitudes, needs and behaviors. And the most successful product launch requires a comprehensive market-readiness plan designed to get the product in front of influencers and the media, into distribution and included in online conversations. Following are seven key steps to prime the market and guarantee a successful product launch. Following these steps will ensure you are reaching out to the right ag audiences, at the right time, with the most innovative delivery and messaging, and ultimately grabbing the attention your new product requires. 1. Craft a strategic campaign through the lens of the customer. You know your product and have lots to say about it. Set your product up for success by getting to know your audiences and framing your campaign for their perspective, not yours. This includes knowing what they are seeking, clearly defining the problem your product solves for them, developing your brand story, and establishing a voice for the product that resonates with your audiences. 2. 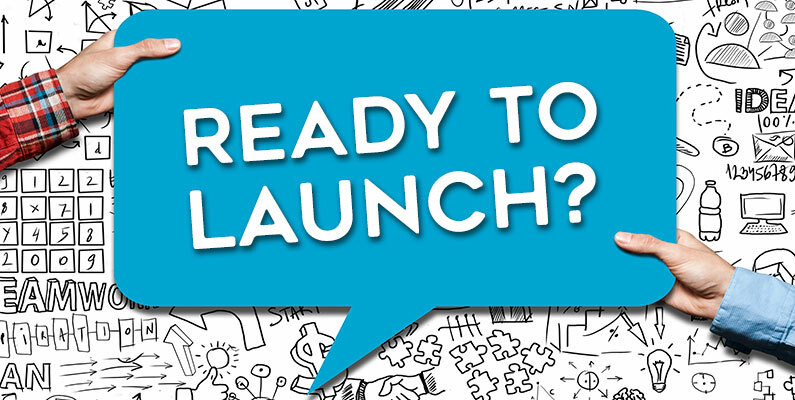 Build pre-launch buzz by offering your product to industry analysts and influencers. The earlier your new product can get into their hands, the better the opportunity for generating chatter and excitement. Influencers have the power to sell your product just by talking about it. This is the attention you are seeking. 3. Map and follow the customer journey. The journey reflects on the farmers’ (or dealers’ or veterinarians’) decision-making process and what it entails. Following their journey will take your new brand to places where the conversations are happening and your customer is buying. For example, trade shows provide opportunities to preview and launch your product to farmers and influencers, and allow them to see and experience your product and ask your teams questions. 4. Don’t just tell them, but show product features and benefits. Equipment and input purchases for the farm are rarely made on impulse, and neither is media coverage. Farmers need time and information to know how the product works, where it fits in their operation and how they will benefit from it. By demonstrating your product features, simplicity, utility and safety – whether through videos, live demos or sales presentations – offers customers the opportunity to get to know the product well in advance of deciding to purchase it. 5. Live within the reality of today’s media environment. Only a handful of brands have the luxury of launching live before an actual audience and garnering extensive media coverage. All the others are fortunate to get the media to pick up the press release. This means the release process should continue with ag and mainstream newswire distribution, along with aggressive pitching to priority media, with managed expectations. 6. Create an event, offer incentives, break the mold. The goal is to generate interest and chatter and do it creatively. How about designing an event around your new product? Work with an extension specialist or consulting agronomist to discuss their experience and success with the product or ask local dealer reps to hold field demo events. And don’t forget to include the media. Other options could be an appearance on local ag radio segments or distributing samples for on-farm trials. 7. Continue to test and plan for the future. A well-managed product development strategy always has a new product in the queue. Planning this product launch requires an understanding of what else is coming. But in the meantime, it’s best to always listen to external analysis and experience and consider concerns or suggestions that are valid – and feasible. This insight is what guides you to planning for the next year’s model or the new product in the queue. And that planning for the next new thing begins almost immediately. Launching a new product can introduce your customers to a groundbreaking active ingredient or technological revolution that will change the way they farm and ranch. It’s exciting to think that we are in an age where these can be rapidly implemented. But speed to market still requires deep understanding of your target audiences, rigorous strategic planning and lots of creativity. By following these seven steps, you are well positioned to generate the news and excitement that your new product deserves.